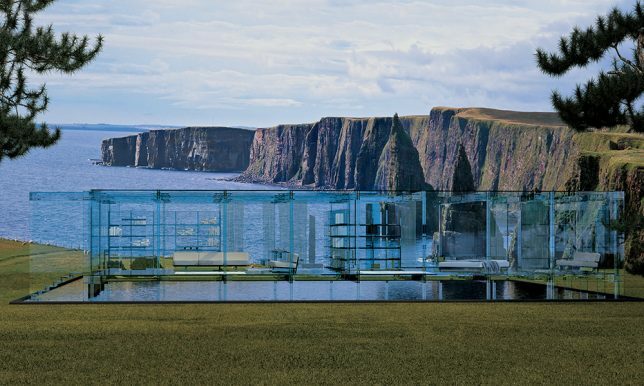 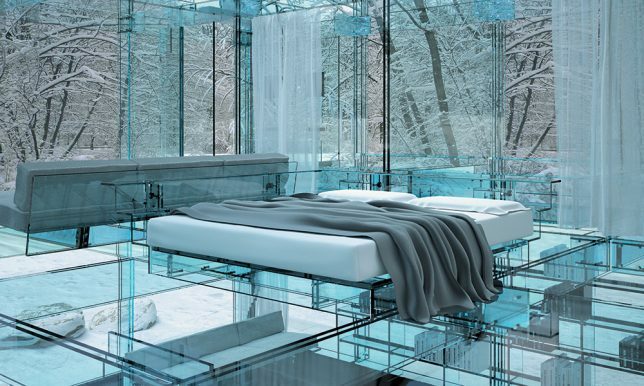 A series of incredible glass houses by SANTAMBROGIOMILANO, a collaboration between Carlo Santambrogio and designer Ennio Arosio, envision an entirely transparent way of living in remote natural settings. 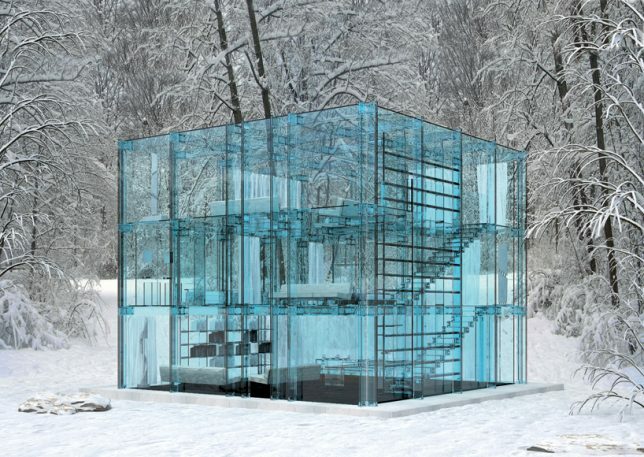 Making use of extra-clear glass from Saint Gobain, which is tempered and laminated for breakage resistance, the homes feature overlapping layers of transparency. 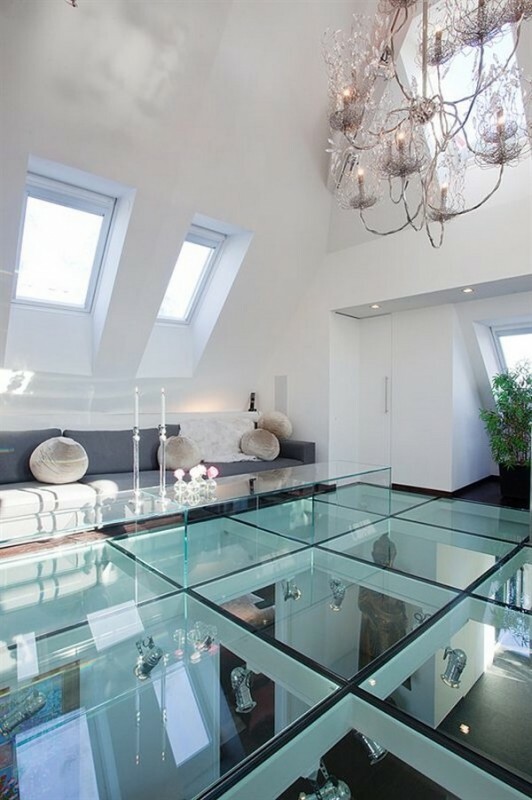 A glass floor takes up the entire living room in this Stockholm residence by Mats Gustafson, becoming a ceiling for the dining room below and allowing light from the skylights to reach all the way through the home. 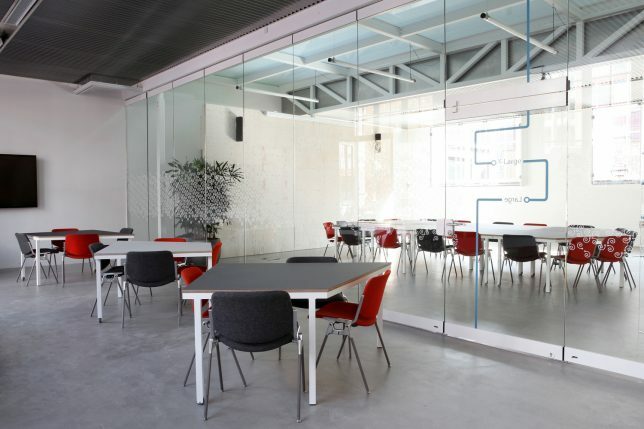 Taking an approach similar to that of MVRDV’s, AIM Architecture exposes the infrastructure of this old building in Shanghai, which now houses offices. 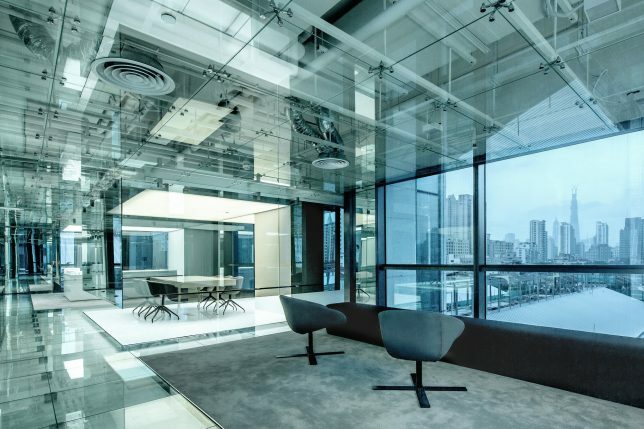 Glass is used as a finishing material for the floors, ceilings and walls, resulting in layered reflections that create a sort of dual reality set against striking views of the city skyline. 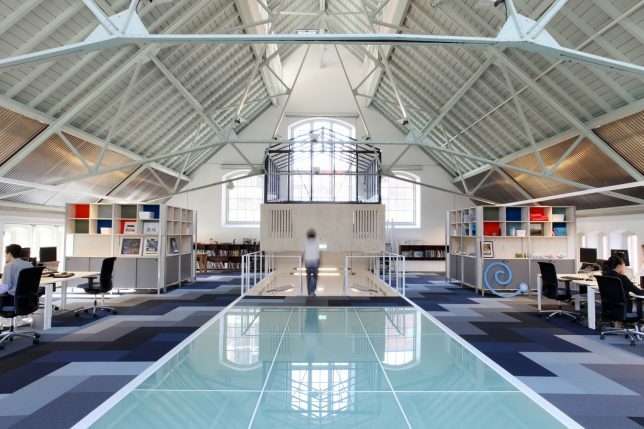 The former boiler house of the Delft University of Technology is now an office and meeting space for members of the Connect network organization, renovated by Atelier Architects. 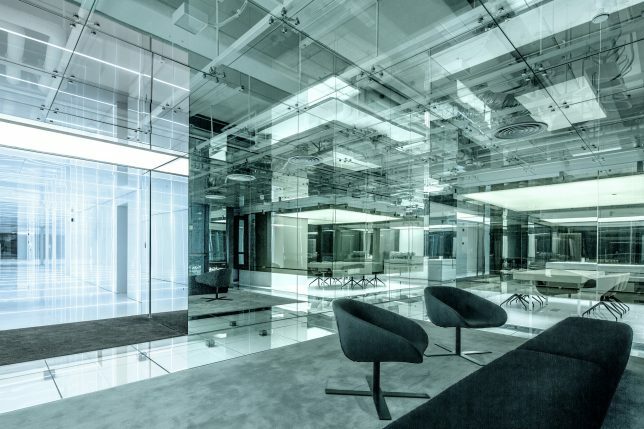 A translucent glass floor runs through the center of the space, reflecting the dramatic ceiling and acting as a giant skylight for a meeting room below. 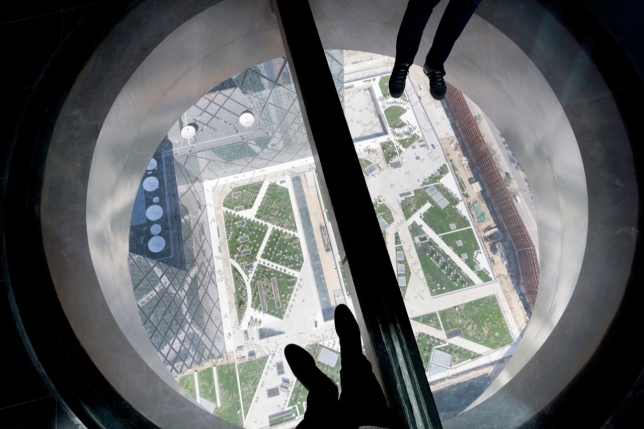 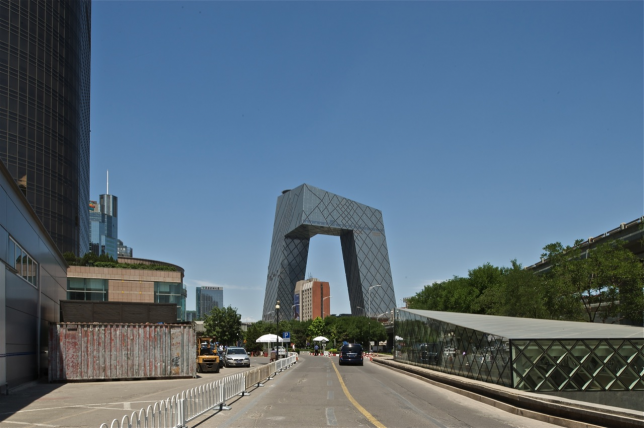 OMA’s incredible CCTV Headquarters building in Beijing, which reimagines the silhouette of the skyscraper as a loop, includes a glass oculus in the cantilevered portion of the building, looking all the way down at street level – which is a long, long way down.